Registered Easyfundraising members who shop online with over 3,600 partcipating large businesses including travel agents and retailers can raise funds for Rotary Nailsea and Backwell at no cost to themselves. Find out more by selecting this banner. Did you know that whenever you buy anything online - from your weekly shop to your annual holiday - you could be collecting free donations for Rotary Nailsea & Backwell? 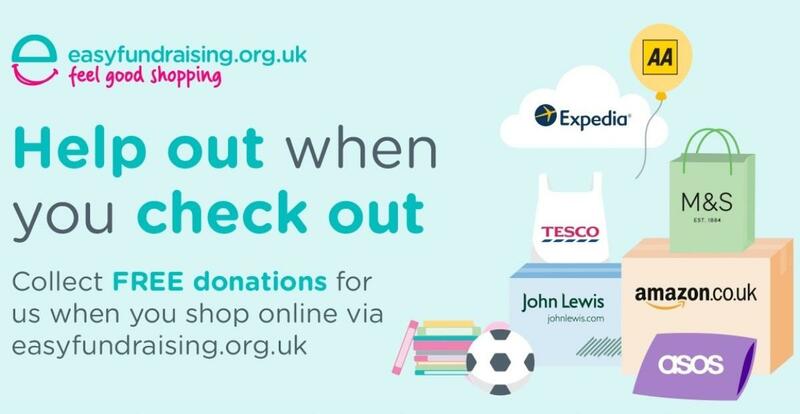 There are over 3,600 shops and other sites on board ready to make a donation, including Amazon, John Lewis, Marks & Spencer, Ebay, Aviva, thetrainline, Sainsbury's and holiday companies – it doesn't cost you a penny extra! 1. Head to https://www.easyfundraising.org.uk/causes/rotarynailseabackwell/ and join for free. There are no catches or hidden charges and Rotary Nailsea & Backwell will be really grateful for your donations. To view list of the businesses involved, visit: https://www.easyfundraising.org.uk/retailers . For smartphones, ipads and tablets see the link to download the Mobile App from the link part way down the Easyfundraising home page.